All three tuns along with their shoes, horses and hoppers have now been cleaned and preserved. They will be covered in plastic as we continue work on repairing the floors and wall plates. 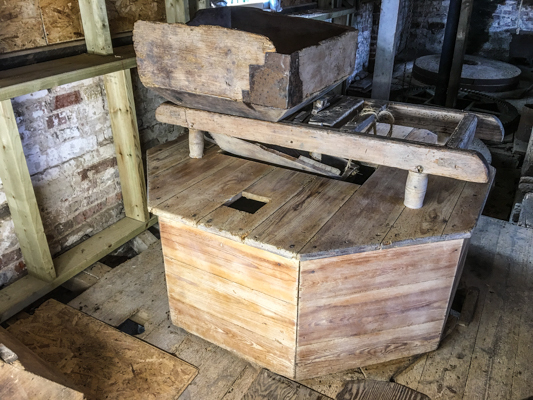 The first set of complete mill furniture restored. 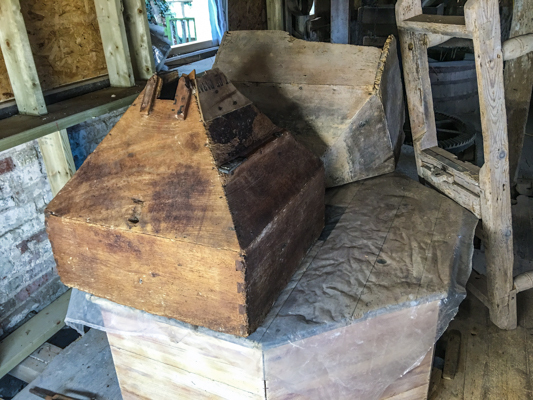 The set includes the tun, shoe, horse and hopper. 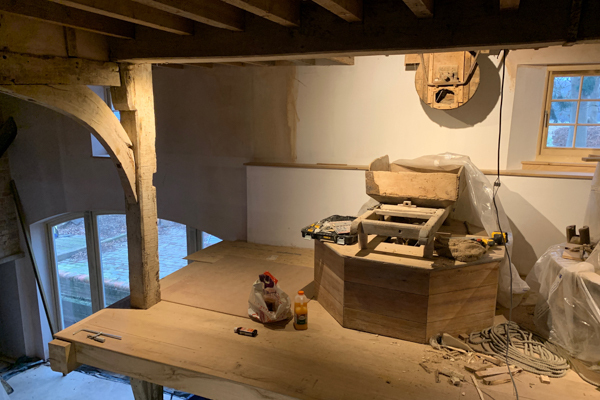 All of the mill furniture has been ravaged by woodworm and some of it is barely hanging together. This hopper in particular was in a bad way and has needed wood glue and filler in places to hold it together. 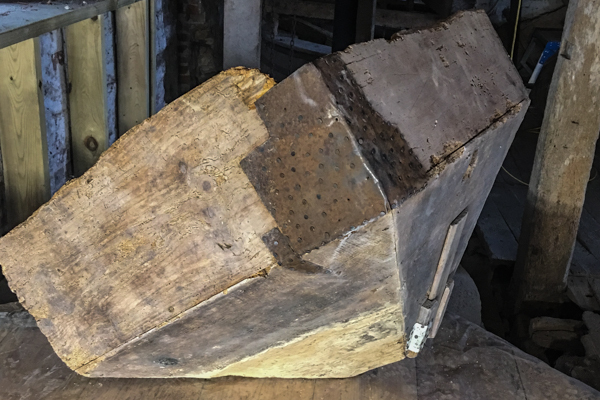 The millers mended things using tin and lots of small tacks so the same technique has been used to mend the corner of this hopper. 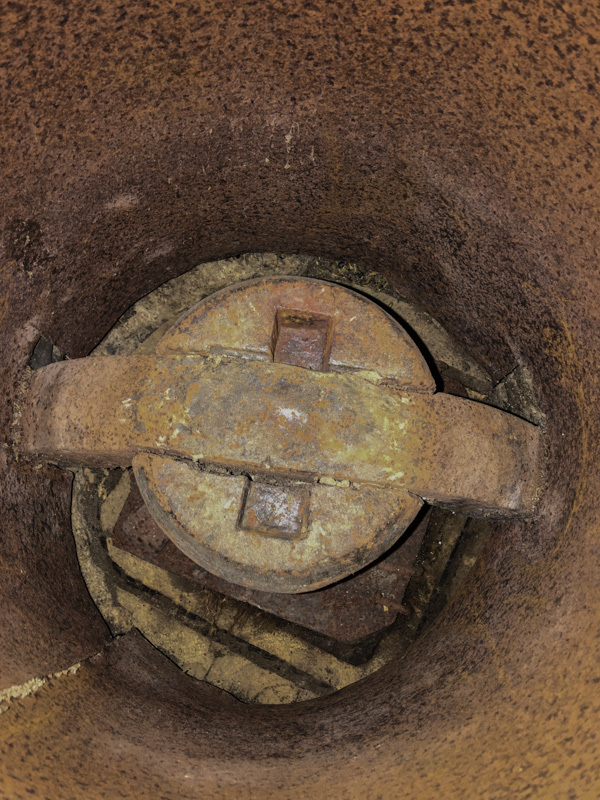 The tin is already rusty because it had been used to mend a rat hole in one of the grain bins. Here are two hoppers resting on the top of the Victorian tun. The hopper on the left has just been treated with woodworm killer. 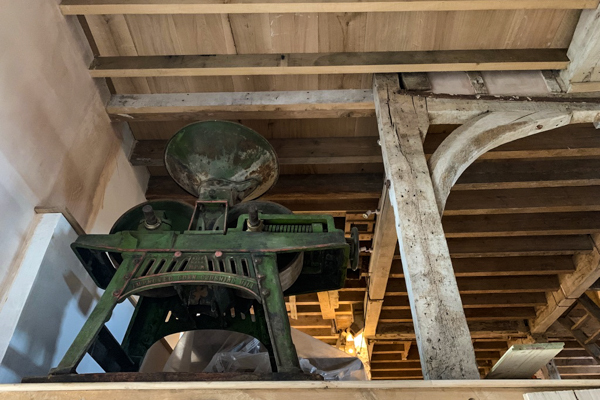 The one behind has been treated with both woodworm killer and white colour stain. The colour stain will ensure that the colour remains the same instead of going orange when the shellac and furniture wax is applied. 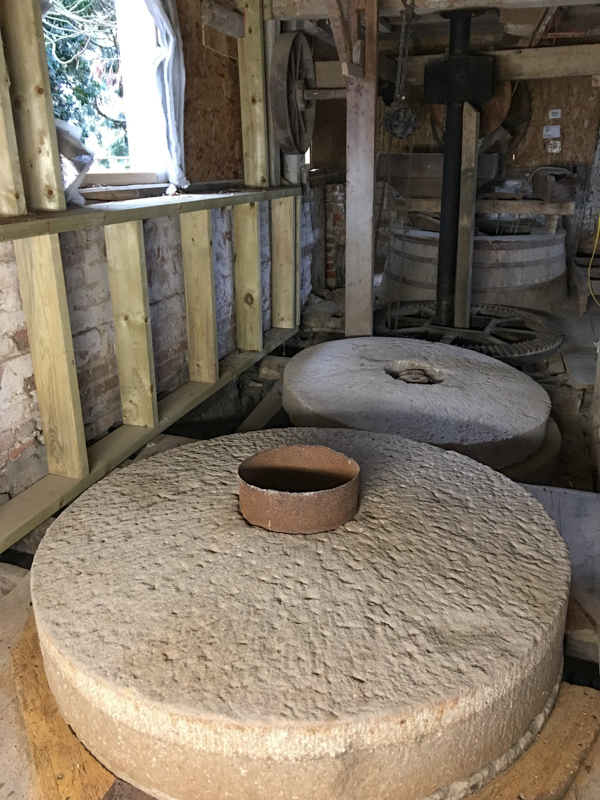 If you look down onto the centre of the millstones you can see the gimbal that holds the (upper) runner stone on its spindle. 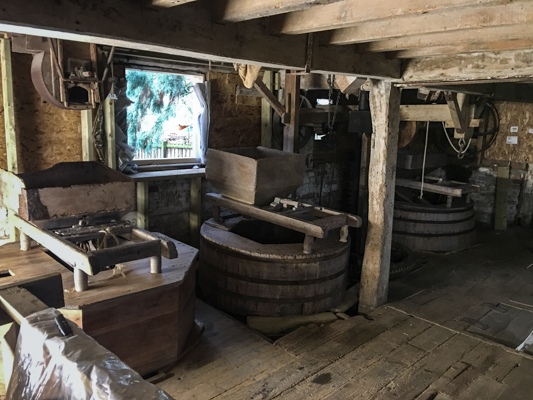 There are three pairs of stones in the mill. The original pair were driven from the waterwheel. Another pair was added later, probably by the Victorians and were driven by steam. These millstones have a hexagonal tun whilst the others have round barrel-style tuns. 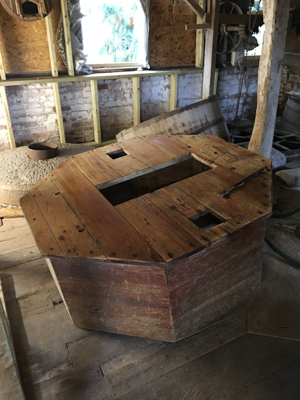 Here you can see the Victorian tun gently sanded and painted with woodworm treatment on the top. The tuns have been removed from two pairs of stones so that they can be renovated. In the foreground are the stones that were driven by steam via an auxiliary cast iron hursting frame.